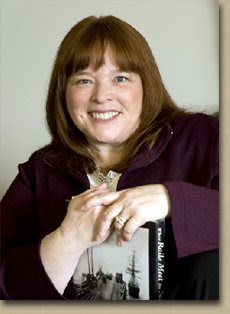 Tracie Peterson is the bestselling, award-winning author of more than 70 novels. She teaches writing workshops at a variety of conferences on subjects such as inspirational romance and historical research. Ephesians 1:18 has become a cornerstone verse for a new non-fiction book she's been working on -- its also become a cornerstone in her life. The verse reads, "I pray also that the eyes of your heart may be enlightened in order that you may know the hope to which he has called you, the riches of his glorious inheritance in the saints." Tracie and her family live in Belgrade, Montana. Newly widowed Lydia Sellers discovers that through an unforeseen fluke, she is the sole recipient of her husband's fortune. But instead of granting her security, it only causes strife as her adult stepchildren battle to regain the inheritance for themselves. Lydia, longing to put the memories of her painful marriage behind her, determines to travel to Alaska to join her aunt. Lydia's arrival in Sitka, however, brings two things she didn't expect. One is the acquaintance of Kjell Bjorklund, the handsome owner of the sawmill. Second is the discovery that she is pregnant with her dead husband's child. What will this mean for her budding relationship with Kjell? And what lengths will her stepchildren go to reclaim their father's fortune? Lydia soon finds her life--and that of her child's--on the line. 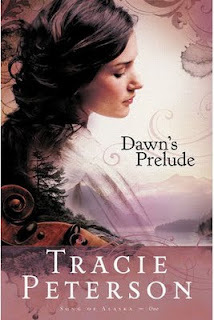 My understanding is that Dawn's Prelude is the first in a series... I can't wait to read the rest of them! The "twist" in this story is very good and I wasn't sure how it would end. I really like that Lydia is struggling through the story and she isn't given any "easy" answers. The other thing to note is that the story does take place in the late 1800's, which isn't obvious from the book description and adds a different dimension than I was expecting. Sounds like one I'd like to borrow!